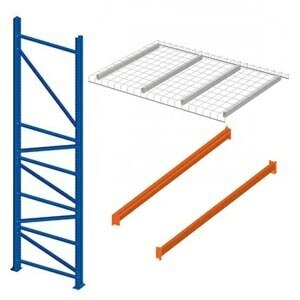 If you are looking for adaptable, multi-purpose storage, our pallet racking should be your first order of business. It provides the versatility you need, through the materials you trust. Optimize your warehouse and get direct, continuous access to your inventory. Pallet racking of this kind is the most straightforward, universal storage system to enable in any facility. It comes with a wide variety of accessories to personalize warehouse storage, depending on the stored items and the workflows of your logistics chain. Additionally, Selective Pallet Racking can be configured for different purposes. It is especially recommended when a seamless rotation of stored goods is a must (i.e. guaranteed direct access to pallets) and/or when a large number of SKUs must be organized. If you want to further enhance storage capacity, consider a double-deep rack system. So, four pallets are stacked back-to-back, instead of two, and a deep-reach truck maneuvers the load. Selective rack is also by far the smartest choice when constructing a rack-supported building. Setting up our pallet racks is simple. Assembly is easy, and requires no specialized tools. Securing the racks to a warehouse floor surface can be the most time-consuming part of the installation process since rack footplates must be tightly bolted for better stability and durable results. Detailed instructions are included with each purchase, with step-by-step directions on how to assemble your industrial pallet rack. 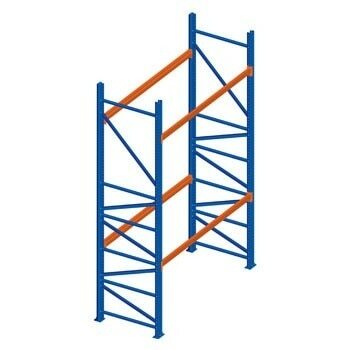 Our Pallet Rack uses only high-strength steel, certified to meet the strictest specifications. Available with with bolted frames, the choice all depends on your storage needs. Moreover, Interlake Mecalux has patented a beam-to-frame connection system that creates the most rigid, dependable structure available, for maximum safety and reliability. Its materials and design also provide the best protection against damage, tampering and accidental beam dislodgement, all potential incidents while shifting in-warehouse goods. A durable powder coating and baked enamel applied to this particular pallet racking ensure its long service life, even under the most demanding circumstances. Optional add-ons for these racks can be the key to increasing the shelving capacity of your system. Just tack on as many new, same-quality base units as needed, but at a significantly lower cost. 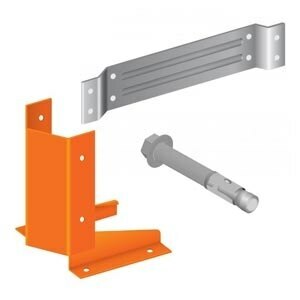 Shelving Direct also offers column protectors to keep up the physical integrity of the rack structure. 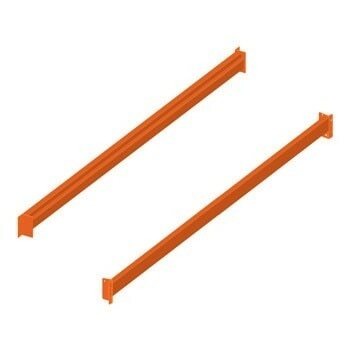 Shield frame posts from direct blows from vehicles and carts, etc. Every company is different, but there is a storage solution for each necessity. Through adaptable racking, you can fully customize your system to meet specific storing requirements. Our accessories allow you to build your own pallet rack unit, using only the parts you need to tailor a shelving solution, and all designed with your business in mind. Maximize space usage in your facility by following a chaotic organization of pallets, controlled by a software that tracks pallet locations on the shelves. Always operate the correct handling equipment when loading and unloading your goods to protect products, racks and any operators working at the warehouse. Combine pallet racks easily with hand-stack shelving units or other storage solutions.